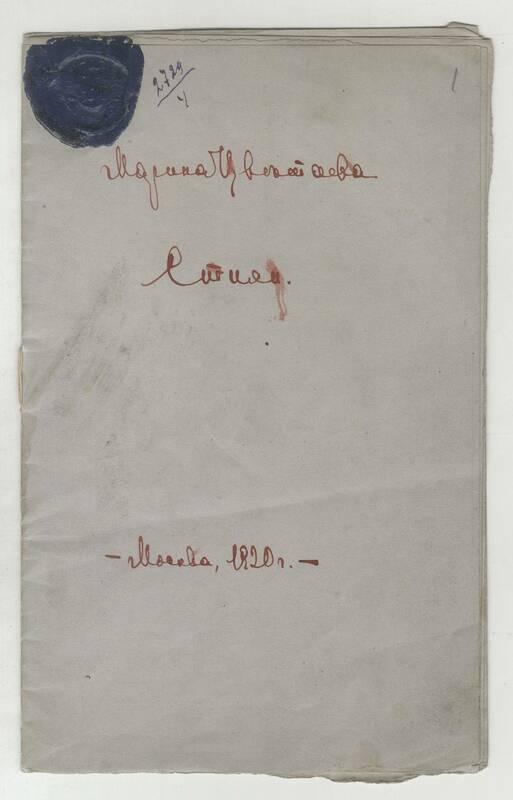 Website of Marina Tsvetaeva downloaded new autographs from the collection of RGALI. Among them are poems "Stenka Razin" (autograph, 1917) and "Riding the Red Horse" (book manuscript, 1921), manuscript collection "Poems" (1919), poems 1913 - 1921 and workbooks. In addition to draft editions of the works in workbooks 1938 - 1941 contains diary entries, autobiography and letters in defense of Sergey Efron, drafts letters, records about the Second World war and extracts from Soviet Newspapers, notes about poetry. We wish you successful studies!